Digital signage can maintain continuous communication throughout a large floor space and across multiple sites. It replaces printed posters or mobile lettered signage which were so prevalent decades ago. Organizations like universities, office buildings, transportation terminals as well as retail stores are now using digital signage to distribute commercial messages and information throughout their floor space. There are simple digital signage systems where all monitors display the same messages and more complex systems that display different messages to various groupings or locations of monitors. Some digital signage systems allow two-way communication, interactivity and other forms of content and environmental automation. 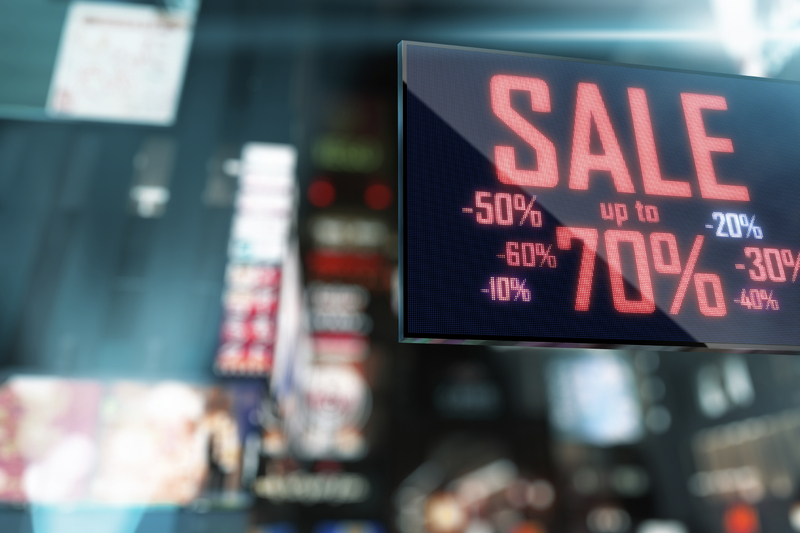 Pro AV control systems are a necessary part of retail digital signage. Control systems simplify the network of signage inputs and displays so the events and collaborations run seamlessly. Computer input, recorded input, microphones, lights and cameras work together with minimal hands-on operation to let you focus on your agenda. The control system may also manage the internet of things in your facility, controlling drapes, lights, ventilation as well as the screens themselves. The system selects the pre-designated audio/video output under full control or automatically. An audio/video control processor, working through touch panels or button control pads, serves as an integrated interface for any number of input and display devices. The interface will manage, command, and regulate every element of your audio/video infrastructure, all the amplifiers, computers, microphones and video streaming peripherals distributed to the screens and audio systems. Pro AV control systems range from conference and presentation theater and corporate meeting room controls to large-scale auditoriums, educational and training facilities. The systems are user-friendly and give simplified intuitive command to presenters or central management. HRS takes a modern approach to professional audio/video control systems, developing our own software and control system products that are fast and easy to use. Please contact us for more information.